For those looking to improve the efficiency in every way possible, one of the most efficient methods is to reduce unsprung weight. (Unsprung weight or unsprung mass is the weight that is not supported by the suspension of the vehicle. For example, components such as the wheels, wheel axle(s), wheel bearings, wheel hubs, lug nuts, tires, portion of the weight of the driveshaft, springs, dampers and brake systems.) Removing unsprung weight can offer a myriad of improvements, some of which include better steering feel and more efficient transfer of motor power to the pavement! 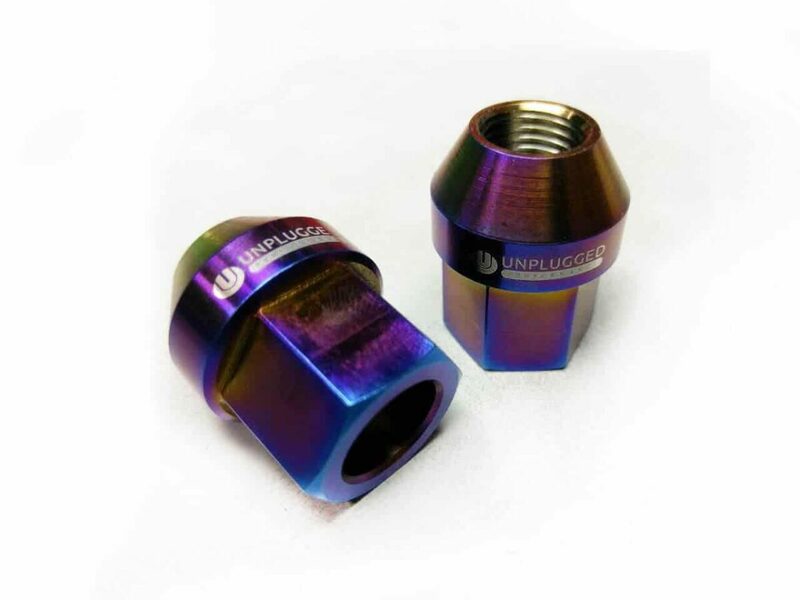 In our never ending effort to remove weight from Tesla vehicles, and thus improve range and performance, we created our Superlight Titanium Lug Nut Set. 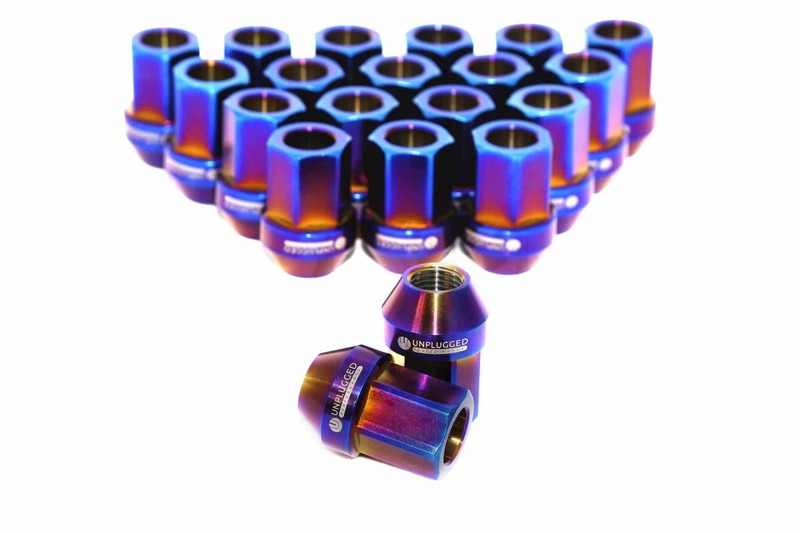 Produced completely from 64-grade titanium for impressive durability and weight savings, the Unplugged Performance Superlight Titanium Lug Nuts save almost 50% of weight versus the OEM steel lug nuts.